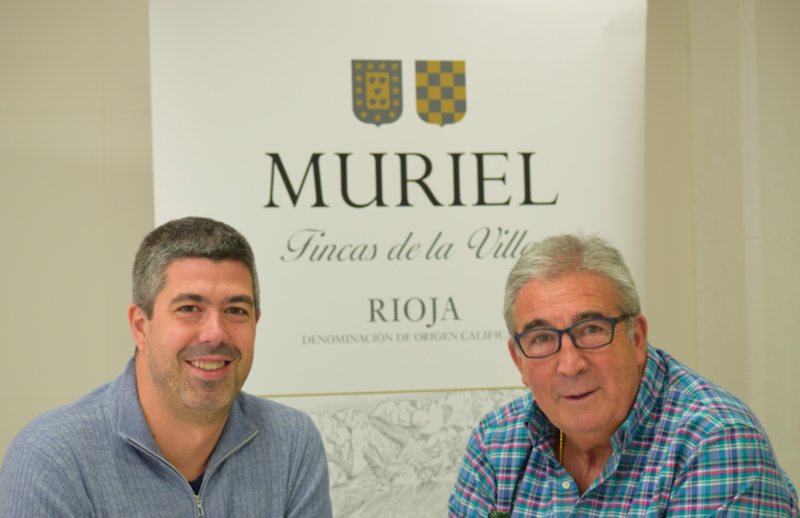 Go-wine's team had the honor of interviewing Javier Murua of Bodegas Muriel. Presented here is the story of his family, the evolution of the wine styles in La Rioja, and indeed the evolution of Rioja and Spain in the global market place. Thank you to Mr. Murua and the team at Quintessential Wines. GW: Welcome Javier. Thank you for taking the time to speak with us today. GW: Please tell us a bit about your winery's history. JM: Our legacy begins in 1926. My grandfather made wine at a time when the region and producer was stated on the wine but no formal brand was on the label. My father, Julian founded the Muriel winery in 1986 when he decided to restore a wine cellar from the 1920's that my grandfather had used to hold the barrels of wine he made. I started learning the business working there during my summer and school breaks. As an adult, I studied economics in Madrid and then in Miami, Florida. My original plan was to remain in the US and work but due to the September 11th attacks on the World Trade center, obtaining a work visa became difficult. I returned to Spain to briefly work in the banking industry, but I didn't like it. My goal at the time was to get real world experience before joining my family's business. Instead, I ended up taking a role with our winery sooner than I expected. I then obtained my masters degree in viticulture and enology. Although I don't hold the title of winemaker, I have been living the winemaking process since I was 14 years old. Today, between my father and I, we create the plan for our wine styles based on which vineyard or region we are obtaining our fruit from and which wine styles each market is demanding. My cousin is in charge of winemaking and overseeing the vineyards under my father's and my supervision. GW: Do you own vineyards? JM: Yes. We own 300 ha. of vineyards. We also have an additional 800 ha. under long term contracts in Rioja Alavesa. In addition we buy from cooperatives in Rioja Alta. It is better to have long term contracts than outright ownership. For example, managing 50 ha, where there may be as many as 125 unique parcels of land, creates unwieldly complexities. You end up spending more time driving around in your tractor than actually maintaining the vineyard. GW: How many wineries are in your group? JM: We are a large winery group consisting of 5 wineries. Two are located in El Ciego: Bodegas Muriel, and Bodega Sevilla, (a former second label of Marques De Arienzo); a winery in Rias Baixas; another winery in Cenicero which produces varietal wines from all of Spain; and another called Conde de los Andes, which was the original winery of Federico Paternina the oldest winery in La Rioja. GW: What is your winery group's philosophy? JW: Our philosophy is to define the style of each brand based on the flavor profile we obtain from each winery's vineyards. 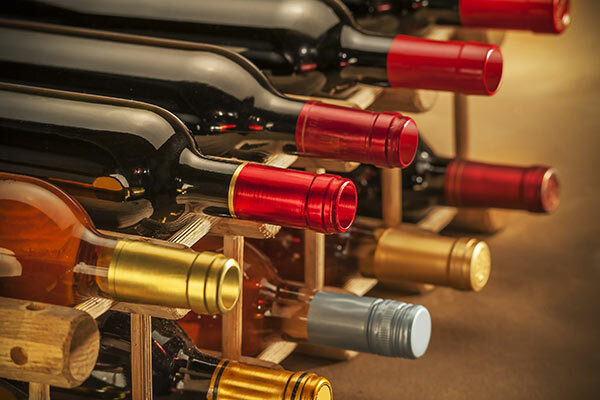 GW: About how many cases of wine do you produce annually? JW: We produce about 1 M cases of wine each year between all our brands. GW: What stylistic changes have you seen since the time of your grandfather's wine to the present? JM: In my opinion, there was a consistent style between 1920 and 1980. I know this personally since I have been able to taste wines from our libraries dating back to 1892. I can honestly say that until 1985 the wines were very classic in style with a lower level of alcohol (rarely greater than 12% abv) and about one point of acidity. From 1985 on, I believe there was a change. Part of this change was due to changes in the climate and part of it was due to clonal selection changes which produced fruit with more potential alcohol. In addition we began making wines with a riper fruit style and more maturity. I personally worked in the international markets and observed that from 1999 through 2009 there was a great demand for delicious, full bodied, and powerful wines. From 2009 to today, we saw a drastic shift. This is the era of annual wine "fashions". Every winemaker is trying to really differentiate themselves from their colleague's styles. These wine "fashions" are changing so fast that each year there are residuals of the past remaining in the new "fashion" of the year. 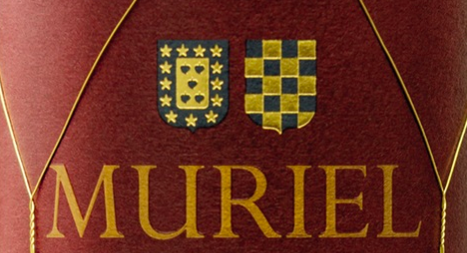 GW: What is the principal style for the wines of Muriel and Conde del los Andes? JM: At Bodegas Muriel we focus on the regional style of El Ciego. We concentrate on wines which express the regions of our area. We want wines that speak of the Alavesa style (a soft, elegant style). 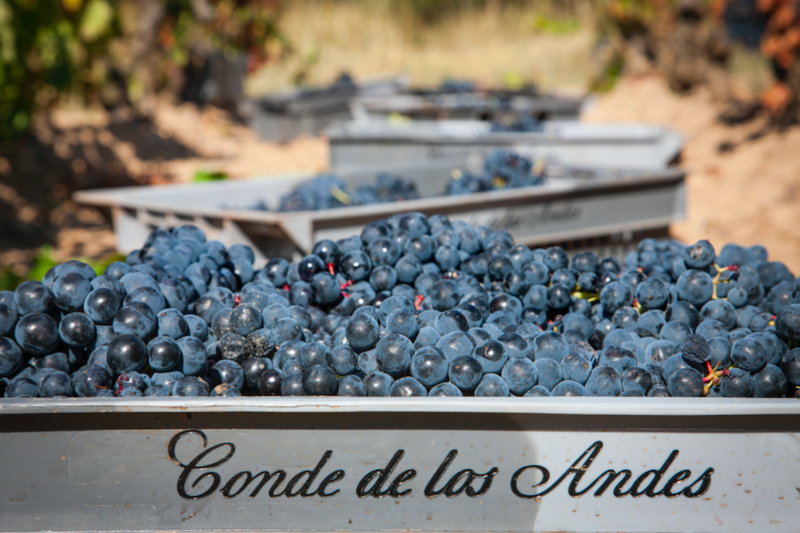 At Conde de los Andes, our historic winery, we look for a clean, classic style under a blueprint of excellence with a potential for aging. GW: Is Muriel more New World or Old World, Traditional or Modern? JM: We look for identity. Renaissance art in its time was considered modern, now it is classic. We may call a young wine modern in its youth yet, as it ages, it is more classical in style. As you can see, each of our projects has a concrete plan and goal. We treat each winery uniquely to obtain each vineyard's "best expression". GW: What are the wine "fashions" of the present in Rioja? JM: Now we see light wines with ripe fruit flavors, others without the influence of oak, full bodied wines, powerful wines, etc. During the past 7 years I 've really observed that all the styles are establishing their own market. Nothing has really disappeared. The world of wine is very complex. To say there is one defining style today vs. one year ago is nearly impossible. Wine styles are dynamic. GW: What other trends are you observing today? JM: This is an interesting time for our industry. We are beginning to transition out of the global taste profile era. 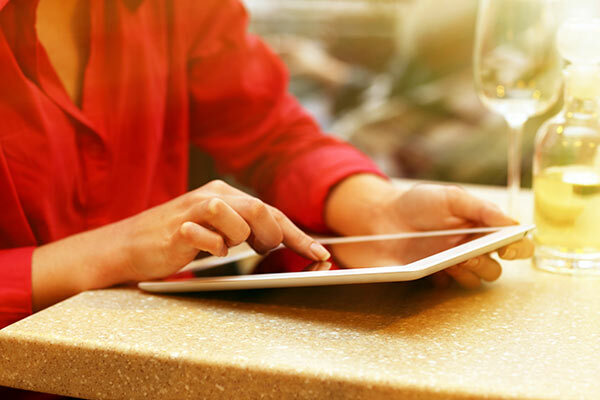 Now that information about wine is widely available and people know more about our product, the consumer is looking for more identity from a D.O., a vineyard or a brand. This is exciting because it allows us to innovate our winemaking, our sourcing, are varietal choices and it takes us out of the monotony created by the globalization of wine styles. GW: We are excited to hear of this new trend. The global wine style is very prominent in the U.S.
JM: Yes, but it is great to see that in the US over the past decade the culture of cuisines has changed dramatically. People are eating healthier. They are combining carbohydrates, proteins, vegetables, and fruits in a way they haven't before. 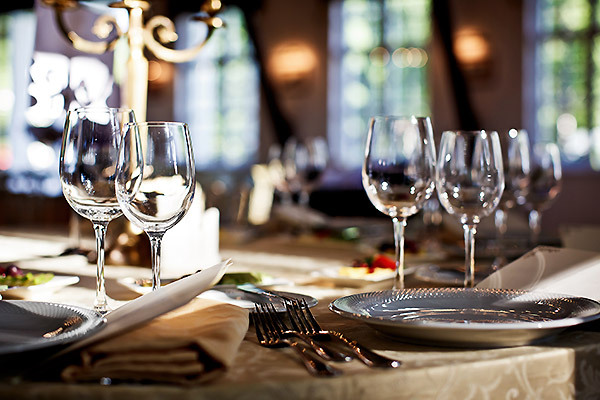 Wine is intimately connected to food. As people diversify their cuisine choices, they will inevitably diversify their wine choices. 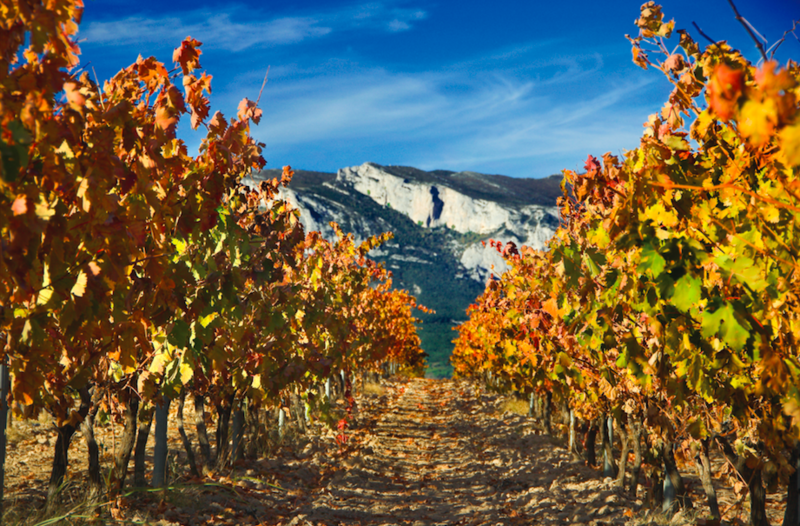 GW: How has technology impacted the wine in La Rioja? JM: What has most impacted wine is clonal selection. The regions have grown dramatically in size. The vineyards however, take a long time to produce the expected flavor profile. 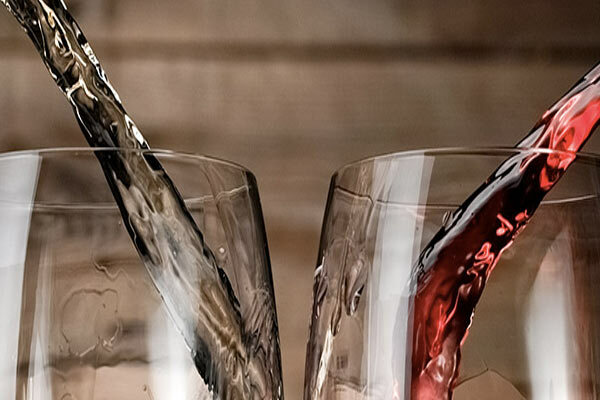 The advent of stainless steel, sophisticated temperature control techniques, and above all, strict adherence to sanitary conditions has impacted wine quality dramatically. In Rioja, these techniques and their impact have been very positive. In addition, we work with maceration vessels, yeast and bacteria selection, and the reintroduction of the classic concrete fermenters. GW: What is your greatest challenge in winemaking? JM: Making a few very good wines is relatively easy. Making 20 excellent wines with a unique identity is very challenging. Each wine has to demonstrate its origin. For example at Real Compañia de Vinos we work with varietals from around Spain. Our goal is that regardless of the varietal: Tempranillo, Garnacha, or Viura, each should have its classic expression. In the case of Viñeria, the majority of the grapes come from La Rioja. The goal in this case is that regardless if the wine is Crianza, Reserva or Gran Reserva, that the style is consistent from vintage to vintage. Our goal within Rioja is to balance the wines. If there is a potential weakness, we draw from a region where there is strength etc. GW: Please identify the style of Rioja Alavesa, Rioja Alta, and Rioja Baja. JM: For me, R. Alta produces tannic wines with a potentially long life; R. Alavesa has a an easy- drinking, soft and elegant style, and Rioja Baja has a riper, more concentrated style. GW: Is the category of Gran Reserva better than a Crianza? JM: I don't believe that is true. A Crianza has a goal to taste great in its time, as does the Gran Reserva. Therefore a Gran Reserva, which is slated to reach its peak in 7 or more years, does not necessarily mean that it will be better than a Crianza that is ready to be enjoyed in two. However, it is important to remember that the grapes are picked to have the characteristics for the minimum time to which the wine is required to age. There is no need to define them; that is superior to the other. Each one has a purpose. GW: What has changed in the use of oak? Is the Vino de Pago a guarantee of quality? JM: Today oak is applied qualitatively not quantitatively. The barrel is used to elevate the quality. 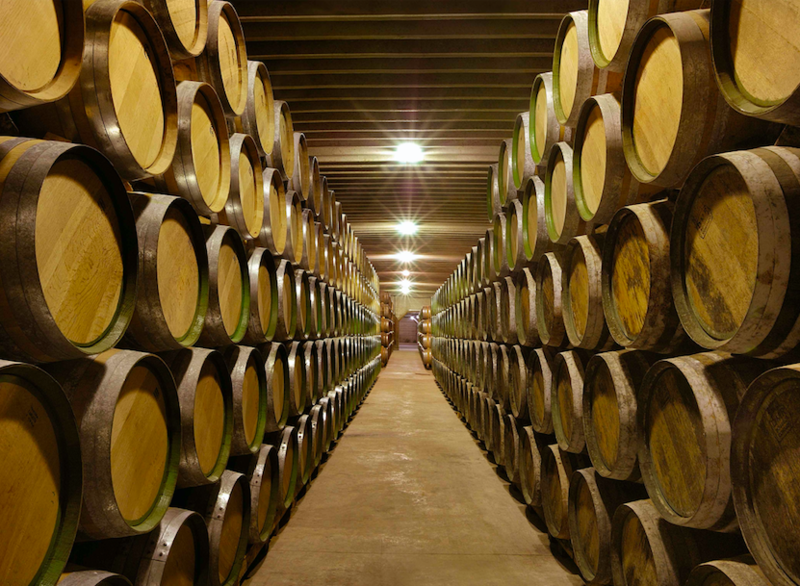 The wine is not just exposed to more oak for the sake of adding more ageing. When you are seeking identity in the wine, excessive use of oak can mask the origin of the wine. Regarding the Pago classification, again it goes back to question of providing the wine a unique identity. As long as that is what it is for, then it is an excellent concept. GW: What do you feel are some controversial topics affecting the industry? JM: A controversial topic today is non-intervention in the winemaking process. The challenge to a complete non-intervention philosophy in winemaking is when the vineyard fruit is optimal. Non-intervention in a product that is high quality may result in a lower quality product than expected. 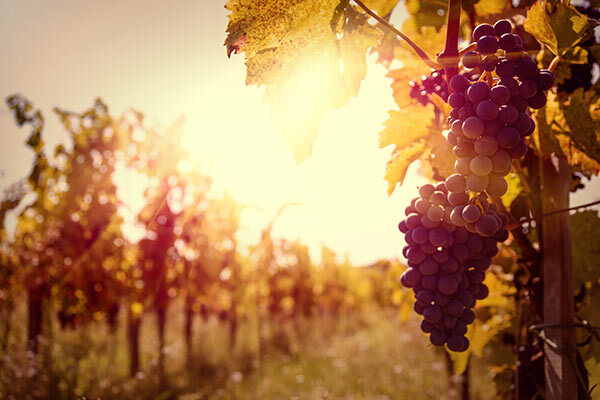 A higher priority today should be to achieve sustainability in the vineyard, and yield control. 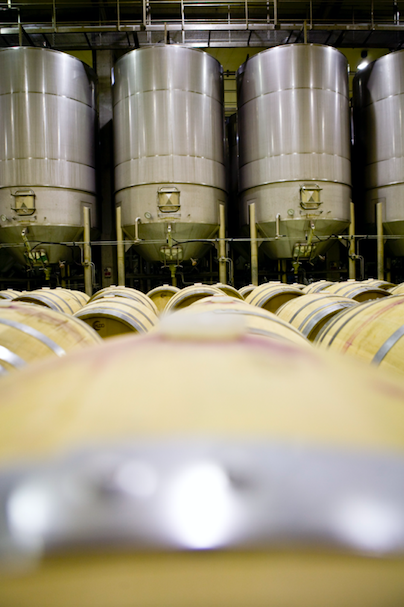 To reiterate: sanitary standards and temperature control are the priority at our wineries. GW: What do you see as the future for the wine styles of Rioja? JM: For our wine group we are looking to have a unique identity. As an analogy lets look at travel destinations. I travel a lot. Yet, I derive great pleasure from backpacking and just as much pleasure staying at a great hotel. I believe the most important thing is that humans are connected to the identity of the place. This goes for the cuisine, the wine, or the culture. Identity comes from your origin. GW: Mr. Muriel, on behalf of the team at Go-Wine.com, thank you for sharing your time with us. It was an honor to interview you. JM: Thank you Go-Wine. We look forward to seeing you in La Rioja.